Can I Take Money Out of My Child’s Custodial Account? We recently discussed the Florida Uniform Transfer to Minors Act (FUTMA), a state law that addresses situations where someone wishes to leave a gift of money or property to a minor. Under the FUTMA, the gift is turned over to a custodian–typically the minor’s parent or legal guardian–who holds the money or property on the child’s behalf. Once the minor turns 18, the custodian must close the UTMA account and turn the property over, although in some cases this may be delayed until the recipient turns 21 or 25. And if you do spend your child’s FUTMA money on yourself–or even your family–your child may turn around and sue you for damages when they turn 21. If you think that would never happen, consider this recent case from Okaloosa County here in Florida. A grandfather set up FUTMA custodial accounts for his two granddaughters when they were babies. He made several deposits into those accounts, but later withdrew money to “reimburse his son for child support” and other court-ordered expenses related to the care of the two granddaughters. FUTMA custodial accounts, like other kinds of irrevocable estate planning transfers, carry certain risks that you need to be aware of before making any final decisions. 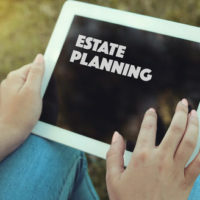 An experienced Fort Myers estate planning attorney can advise you as to those risks, as well as alternatives that may more accurately reflect your intentions. Contact the Kuhn Law Firm, P.A., today at 239-333-4529 to schedule a free estate planning consultation with a member of our team.